Two years ago Singapore Airlines KrisFlyer eliminated fuel surcharges on Singapore Airlines awards and raised mileage prices to compensate. They left their Star Alliance awards untouched and of course those still incurred surcharges. 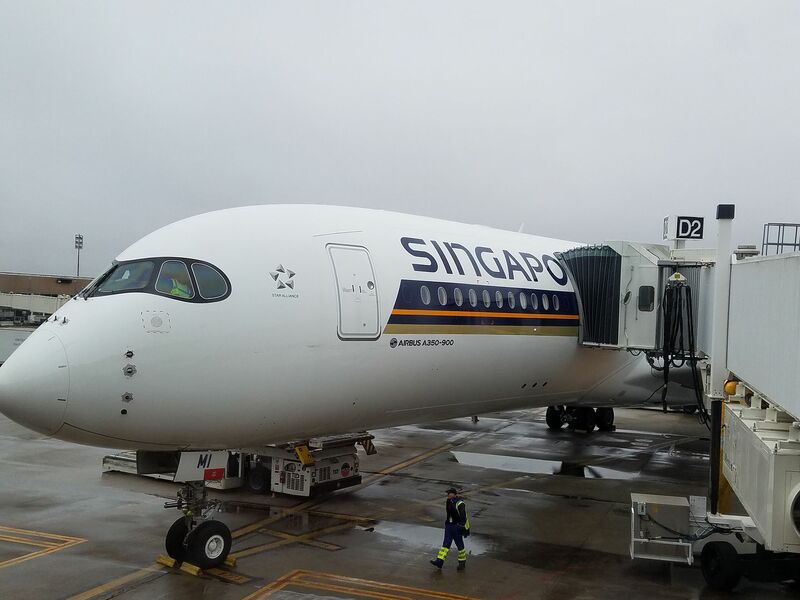 It did create a strange situation where you could add a Star Alliance partner airline flight to the end of a Singapore Airlines itinerary to save miles, since Star Alliance flights were often cheaper. You’d then just throw away that final segment. The KrisFlyer program raised Singapore Airlines award prices again at the beginning of 2019 with about three weeks’ notice. Again they created the window where Star Alliance awards could be cheaper (albeit with fuel surcharges) and again offering a window of savings to throw away a partner flight segment at the end of a one way award booking. That’s a pretty good indication that things wouldn’t last — that the Star Alliance award chart would be devalued too. As in the past Singapore doesn’t seem to update their own metal chart at the same time as the partner airline chart. Singapore last devalued their Star Alliance award chart at the end of 2017, bumping up prices as much as 25%, so this is kind of quick. Singapore Airlines KrisFlyer is a transfer partner of Chase, American Express, Citibank, and Capital One so it’s of great interest to US frequent flyers. The primary use of their miles in my opinion is booking awards on Singapore Airlines itself (since there’s much greater availability using their miles than partner miles when doing so) and those prices aren’t changing at this time. I rarely look to their Star Alliance award chart – except for United domestic US and Hawaii flights. Those prices are changing. Both remain relative values, but won’t be as good starting April 19. You can still book under current mileage prices for travel into the future, of course, up through April 18 in Singapore. How much more can your UR points be devalued? Can’t be devalued much more. UR points are already fairly useless for premium cabin as I refuse to pay 70-80k for whatever crap flies to Asia besides SQ and SQ is rapacious on their own awards. SilverKris is quickly starting to make United MileagePlus look good. I recently redeemed SQ miles for C on SQ IAH-MAN and the service was pretty mediocre. The United Polaris lounge was the best part of the whole experience in my opinion.